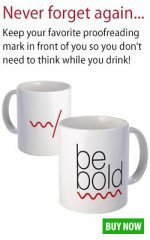 The purpose of Graphic Design Employment.com is this: to help designers build confidence through graphic design articles covering everyday, essential tasks. Most of the information here is knowledge that every designer has to know if they're to work confidently in a design studio. The focus is on the basic issues of preparing images correctly for print, setting up documents in InDesign and Quark, artwork press-preparation, best practices and general workflow. 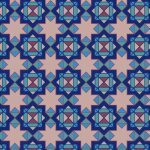 The Graphic Design Employment Blog is where you'll find new and updated training articles, useful websites and resources related to GDE.com. You can subscribe to the blog via an RSS feed so that you can tell when something new has been added. To subscribe to the Graphic Design Employment Blog (no e-mail necessary), right-click on the orange RSS button (see the buttons to the left, below the navigation menu) and then paste the URL into your RSS reader. Alternatively, click on the My Yahoo!, My MSN or Add To Google button if you keep a personalized home page there. 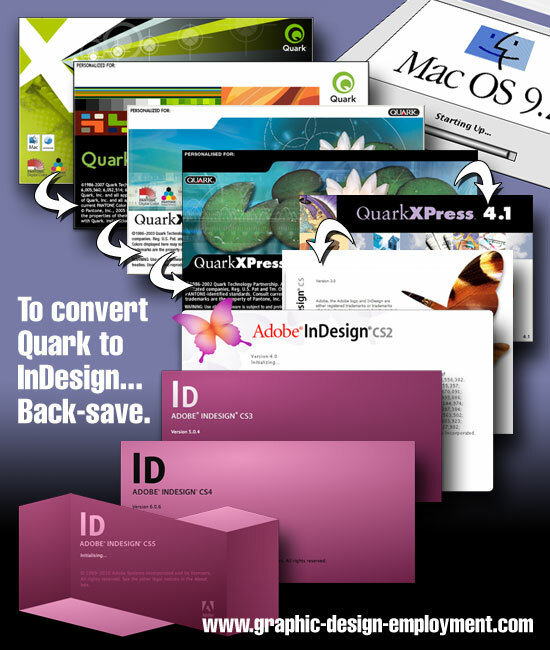 Click here for a list of our graphic design tutorials. Click here to ask the author (Nick B Davies) a graphic design-related question. Continue reading "Graphic Design Employment Advice and Essential Job Training"
Continue reading "Using Adobe Illustrator How to Convert Text to Outlines"
Continue reading "Free Quark to InDesign Conversion from QuarkXPress version 4,5,6,7,8,9,10,2015"
Continue reading "Make Money as an Affiliate Marketer"
Continue reading "Make Money with Dreamstime"
Continue reading "Make Money with Clickbank"
Continue reading "3 Ways to Make Money Online and Supplement your Graphic Design Income"
Continue reading "Graphic Design Software You Need to Learn for Graphic Design Employment." A3 paper dimensions. Free infographic of the ISO A3 paper size. A3 paper dimensions. Free infographic of the ISO A3 paper size in graphic design. 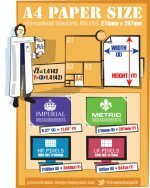 Free ISO 216 Page Sizes Cheat Sheet Poster infographic download. Continue reading "A3 paper dimensions. Free infographic of the ISO A3 paper size." A4 paper dimensions. 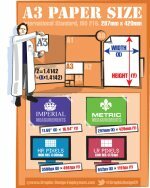 Free infographic of the ISO A4 paper size. A4 paper dimensions. Free infographic of the ISO A4 paper size in graphic design. 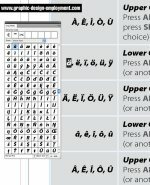 Free ISO 216 Page Sizes Cheat Sheet Poster infographic download. Continue reading "A4 paper dimensions. Free infographic of the ISO A4 paper size." 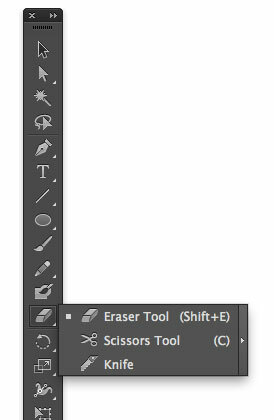 Continue reading "How to Change Document Size in Illustrator"
Continue reading "The Graphic Design Interview. Common Sense Tips for Graphic Design Employment." Continue reading "Career Information on Graphic Design Employment.com, Jobs in Graphic Design"
Continue reading "Writing Graphic Design Resumes. Step by step to an effective graphic design CV ." 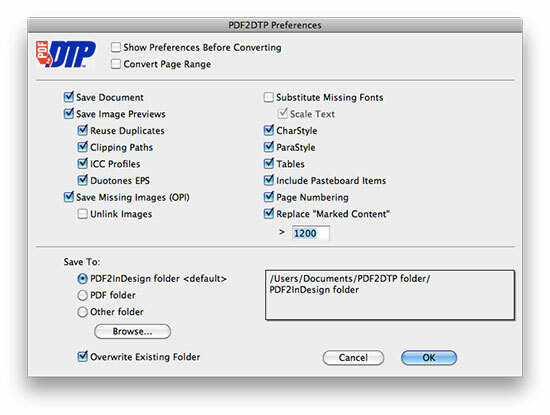 Continue reading "Typography Design - Use Upper and Lower Case and Let Me Sleep"
Continue reading "Year Planners - a great year-round ad for your business"
Continue reading "Color Management and How to Preflight Documents in CS4"
Continue reading "InDesign Files - How to Set Up Business Card Layout Design for Press." Continue reading "Illustrator How to Make a Triangle"
Continue reading "Universal Proofreading Symbols for Graphic Designers"
Continue reading "Convert Illustrator CC EPS to CS6"
Continue reading "Press-Ready Image Tutorial - how to make high resolution images printer ready"
Continue reading "A Useful Proofreading Marks Chart -Universal Proofreading Symbols and Examples"
Continue reading "Illustrator Tutorials - Top Ten Most Requested"
In InDesign, when making a text box and filling it with text, you have the option to select a portion of the text and, in the Options Bar, choose Split 2 to split your text selection into two columns. However, what if you want to control the gutter width? Not so obvious. The ambiguous solution is (if you're on a Mac) to Alt-Click the icon to left of the Split/Span drop down menu. This will open a dialogue box with all the options you need. Continue reading "Accent Marks - How to Create French, German and Spanish Accent Marks." Continue reading "Photoshop Tutorial Bling Text - Adjustment Layers Photoshop Video Tutorial"
Continue reading "Don't Throw Your Client to the Dogs - think before ridiculing"
Continue reading "How to Make a Dotted Line in Illustrator - Basic Tutorial"
Continue reading "Using Adobe Bridge to View Images Only"
Continue reading "Cheap royalty free photos and stock images - where and how to find them"
Continue reading "10 Graphic Design Tools We Use Every Day"
Continue reading "Web Design Hampshire, recent website projects by Tinstar Design"
A really quick and dirty demonstration - but this one's worth it... Find the related image on our Facebook page. Shape layers. Crisp, sharp and inflexible when it comes to adding strokes or feathered effects - unless you use a layer mask or the poor stroke tool in the layer effects submenu. With Photoshop CS6, that's all changed. Create a shape layer. 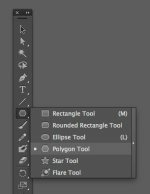 With the Shape Layer tool still selected, look in the Options palette - you'll now see stroke options. Give it a stroke. You'll find more stroke options (position inside/outside etc) if you click on the little Stroke Options submenu. As if that wasn't fabulous enough, now open the new Properties Palette - Window/Properties - with the target layer still selected in the Layers Palette. Inside you'll see a 'Feather' slider. Slide it and look amazed. The vector shape (stroke and all) has feathered without using a mask or being rasterized. Prove to yourself that it's still a vector shape by dragging one of the corner handles. Continue reading "Feathering and stroking a shape layer in Photoshop"
Continue reading "Illustrator How to Cut a Shape"
Continue reading "Illustrator How to Make a Pattern that Seamlessly Repeats"
Continue reading "Convert PDF to Quark XPress using PDF2DTP"
Continue reading "Convert PDF to InDesign using PDF2DTP"
Continue reading "PDF files to InDesign and Quark using PDF2DTP"
Adobe Creative Cloud or upgrade to a CS6 box? I went through an agony of indecision about whether to sign up to Creative Cloud or upgrade to boxed CS6 last week. The pre-August 31st discount has been predictably continued under another name now - you still get 40% off if upgrading. Anyway, I opted for continuing with boxed upgrades, and I feel happy with my choice. I can do without the other applications that the Cloud offers, and I just don't like the idea of losing applications if I decide to end my subscription. I also don't like the idea of everything going digital and ethereal. The Cloud is great for Adobe - they take money hand over fist and don't actually have to send anything out in return; everything becomes automated. I prefer to get something physical and reliable for the kind of money this software costs. Having said that, I don't begrudge paying for the software - let's face it, it keeps us all in business. I just like to know that I will be able to continue to work if my broadband stops working (which it does regularly). I know that an Internet connection is supposedly not required once you have downloaded and registered the software, but I've heard too many scare stories of people having to constantly re-activate applications every time they're opened. And the monthly payments for online subscriptions keep adding up - I already pay Adobe for Typekit; let them be satisfied with that.